Upset with an unknown number of users who sign in to your WiFi Internet network? Now you can cut off the internet connections they directly using your Android in the following way. 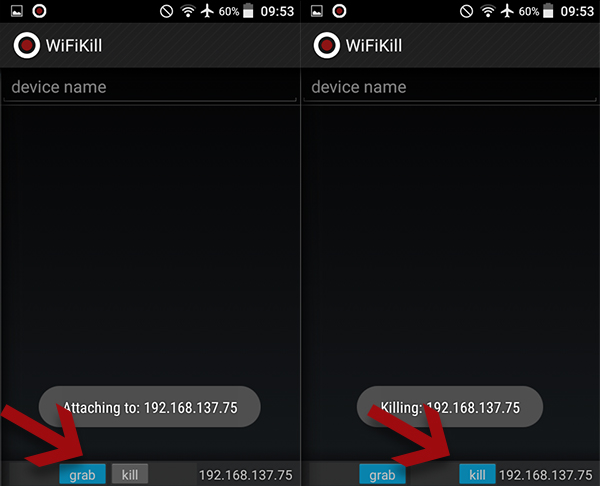 Download WiFiKill and install as usual on your Android. 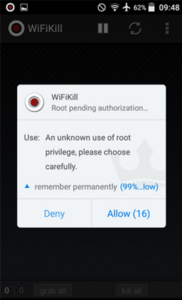 Open the application and Allow root access to WiFiKill application. Perform scan WiFi, and select the IP address you want to break up suspicious connections. Change Grab and Kill to position ON . After changing to the ON position, the internet connection is automatically the person will die.